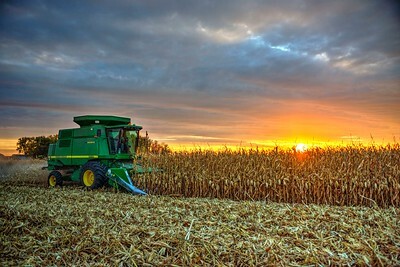 A John Deere combine harvests corn in the fall sunset. 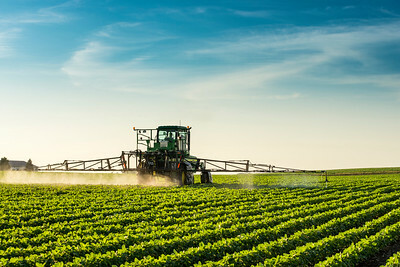 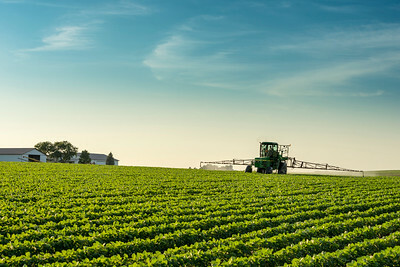 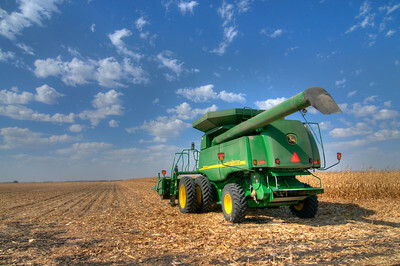 A John Deere sprayer hits the beans this summer. 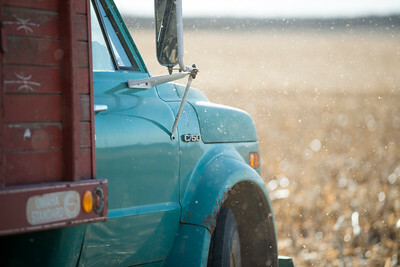 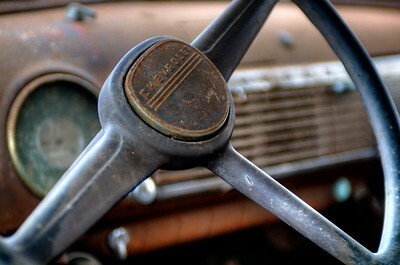 An older Ford truck awaits in the field to be filled with corn. 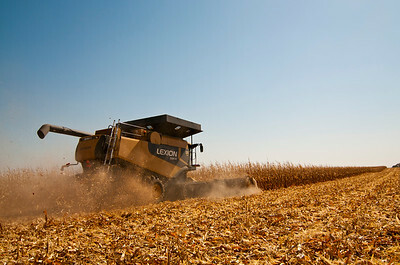 A Class Lexion 740 unloading corn into a wagon. 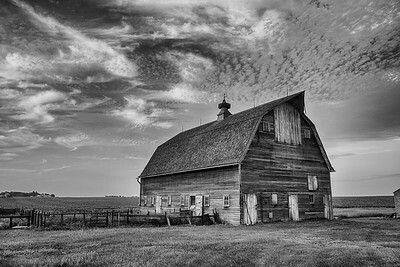 Jackson, Minnesota. 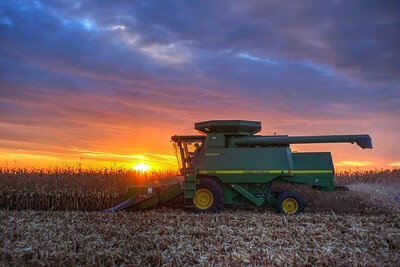 Fall harvest in front of a fantastic farm sunset. 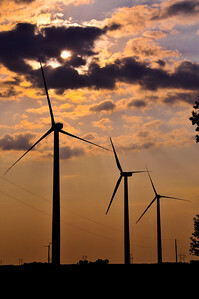 The sun sets behind a row of wind turbines in southern Minnesota. 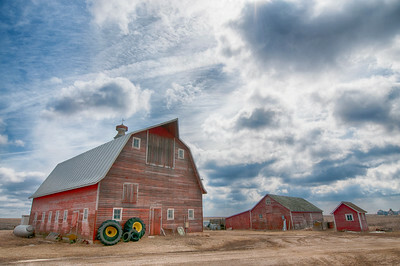 Spring time on the farm; planting time is just about here. 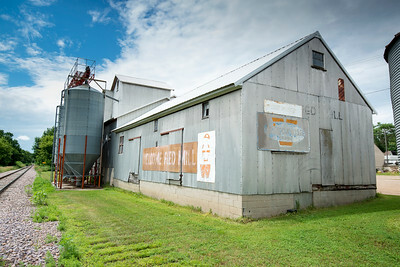 It is summertime at the feed mill; only a couple of months until tractors and trucks line the streets waiting to weigh and sell their crops. 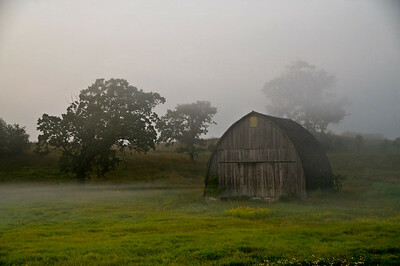 Foggy Morning at the Old Barn. 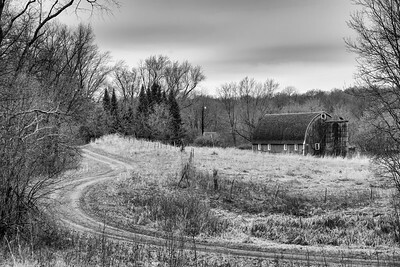 The front end of a Farmall Type H.
Wintery Sunrise on the Corn Crib. 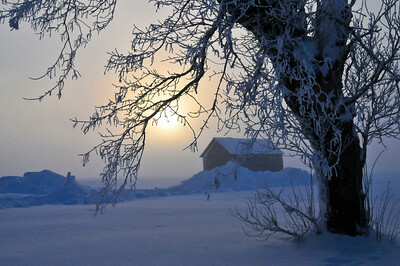 Fresh snow at sunrise on the farm. 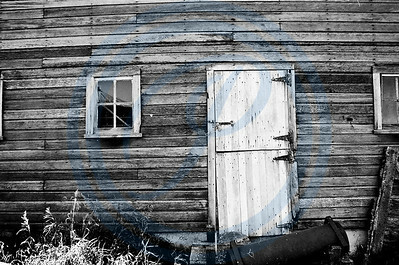 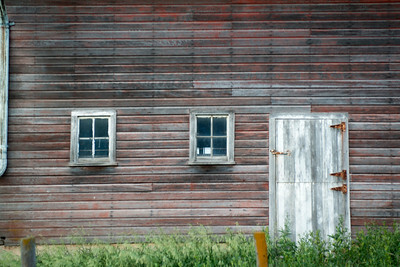 Old barn in Jackson County, Minnesota. 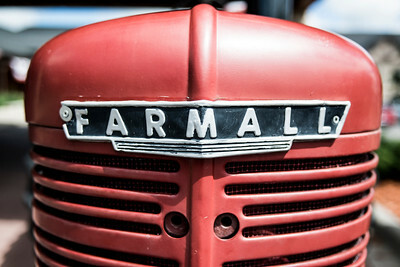 Farmall M and the Barn. 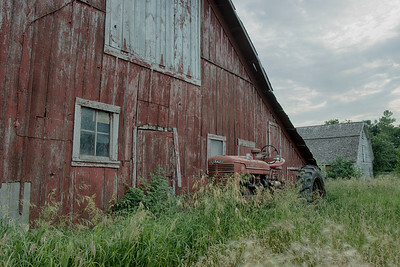 An old Farmall M sits in the tall grasses behind a barn. 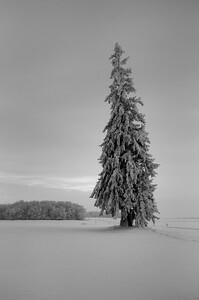 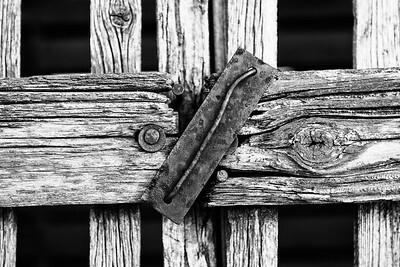 Shot on Agfa Silvertone with a Nikon N50. 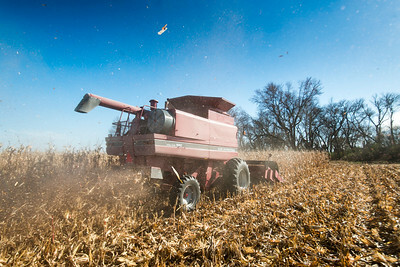 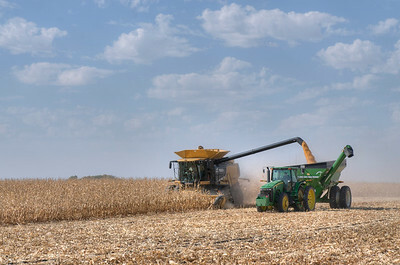 A Case IH combine harvests corn in a southern Minnesota field. 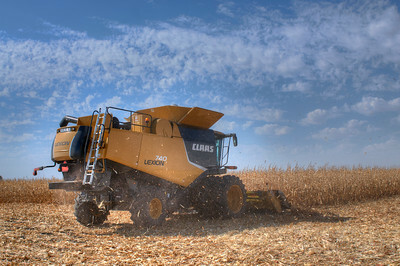 Claas Lexion 740 combine. 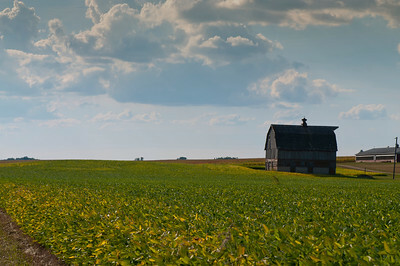 Jackson, Minnesota. 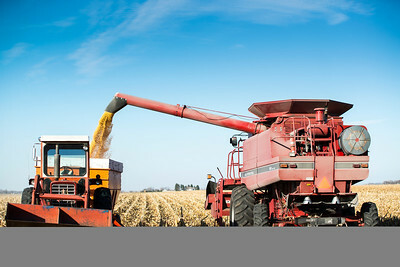 A Case IH combine fills a wagon from the fall harvest. 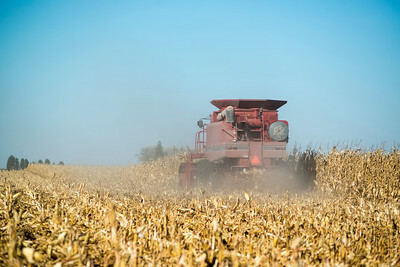 Dry corn makes for a dusty harvest. 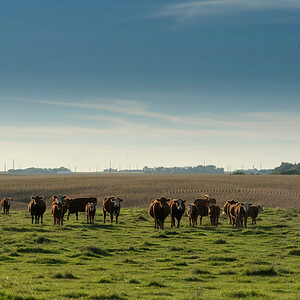 Sort of eerie when you walk up to the fenceline and they all turn to watch you. 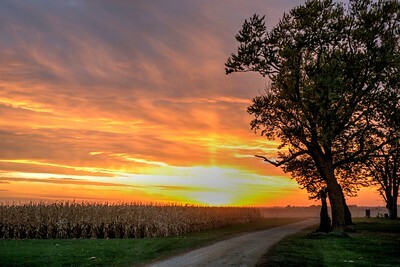 And then start walking towards you. 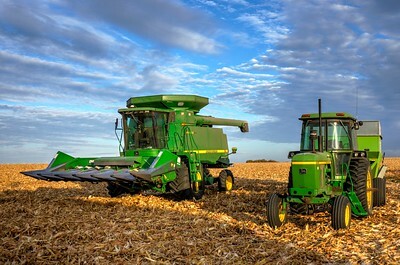 A John Deere combine and a John Deere tractor with a Parker wagon sit in the now empty corn field.